The service’s often contest the findings of DOT&E as dated criticisms or a reiteration of known ongoing problems with weapon’s programs. In response to the latest release of the current DOT&E report the Navy provided the following statement to USNI News. “The Navy appreciates the insights provided by DOT&E, which has consistently highlighted both effective warfare areas and programs, as well as recommendations for areas to re-visit,” read the statement. The United States’ Department of Defense (DoD) acquires some of the most complex systems known. Because of this complexity, they often require many years of development and testing; and if not tested properly, we run the very serious risk of delivering poorly performing equipment to the warfighter. Our Airmen, Sailors, Marines, and Soldiers rely on these systems to be effective, suitable, survivable, and lethal. 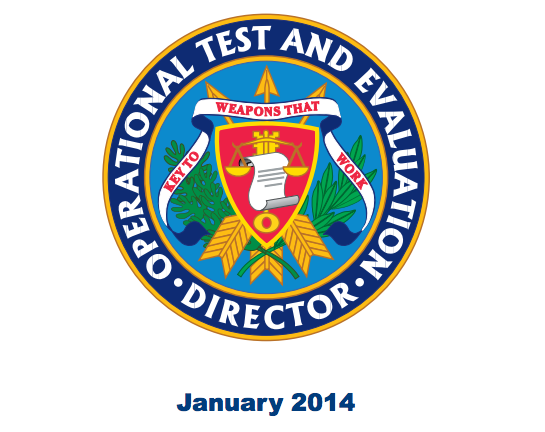 Because in many respects their lives depend on weapons systems that work, it is essential that adequate testing is done to fully characterize those systems’ capabilities and shortcomings across all of the relevant operational conditions in which the system is anticipated to be employed. Such characterization is needed in part so that well-informed acquisition and development decisions can be made, but also so the men and women in combat understand what these systems can and cannot do. As a nation, we cannot afford to field weapons systems that do not work, do not provide a clear improvement over existing systems, or are not militarily useful; nor can we afford to make these important fielding decisions without knowledge of the systems’ operational effectiveness. Time and again I have found that without adequate operational testing, we would not have understood the specific conditions in which a system is effective and suitable; my reporting continues to be focused on this characterization, since no system can provide perfect performance under all operational conditions or against all relevant threats. Provided the information gained from operational testing is used, characterization of performance as a function of operational conditions and threats enables developers to understand and fix problems quickly. Early testing (both developmental test events and operational assessments) can and should inform the development process and enable the early identification of major problems.